This article is about Indian people from India. For other uses, see Indian (disambiguation). Anatomically modern humans are thought to have arrived on the Indian subcontinent between 73,000 and 55,000 years ago. Settled life, which involves the transition from foraging to farming and pastoralism, began in South Asia around 7,000 BCE; during this period, domestication of wheat and barley, rapidly followed by that of goats, sheep, and cattle occurred. By 4,500 BCE, settled life had become more widely prevalent, and eventually evolved into the Indus Valley Civilization. 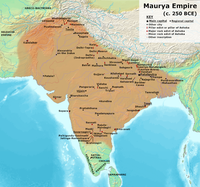 Considered a cradle of civilisation, the Indus Valley civilisation, which spread and flourished in the north-western part of the Indian subcontinent from 3300 to 1300 BCE, was the first major civilisation in South Asia. A sophisticated and technologically advanced urban culture developed in the Mature Harappan period, from 2600 to 1900 BCE. 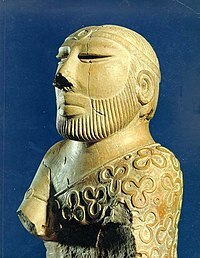 Indus Valley Civilisation was noted for developing new techniques in handicraft, carnelian products, seal carving, metallurgy, urban planning, baked brick houses, efficient drainage systems, water supply systems and clusters of large non-residential buildings. This civilisation collapsed at the start of the second millennium BCE and was later followed by the Iron Age Vedic Civilisation. The Indian subcontinent, also known as the Asian subcontinent and Indo subcontinent, is a southern region and peninsula of Asia, mostly situated on the Indian Plate and projecting southwards into the Indian Ocean from the Himalayas. 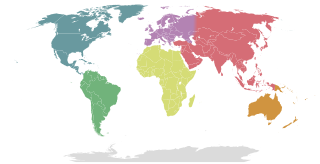 Geologically, the Indian subcontinent is related to the land mass that rifted from Gondwana and merged with the Eurasian plate nearly 55 million years ago. Geographically, it is the peninsular region in south-central Asia delineated by the Himalayas in the north, the Hindu Kush in the west, and the Arakanese in the east. 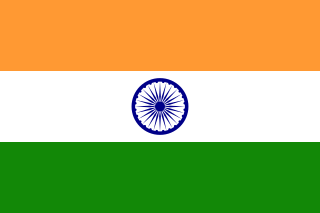 Politically, the Indian subcontinent includes Bangladesh, Bhutan, India, Maldives, Nepal, Pakistan and Sri Lanka. The word Puranas literally means "ancient, old", and it is a vast genre of Indian literature about a wide range of topics, particularly myths, legends and other traditional lore. Composed primarily in Sanskrit, but also in regional languages, several of these texts are named after major Hindu deities such as Vishnu, Shiva and Devi. The Puranas genre of literature is found in both Hinduism and Jainism. The Rigveda is an ancient Indian collection of Vedic Sanskrit hymns along with associated commentaries on liturgy, ritual and mystical exegesis. It is one of the four sacred canonical texts (śruti) of Hinduism known as the Vedas. 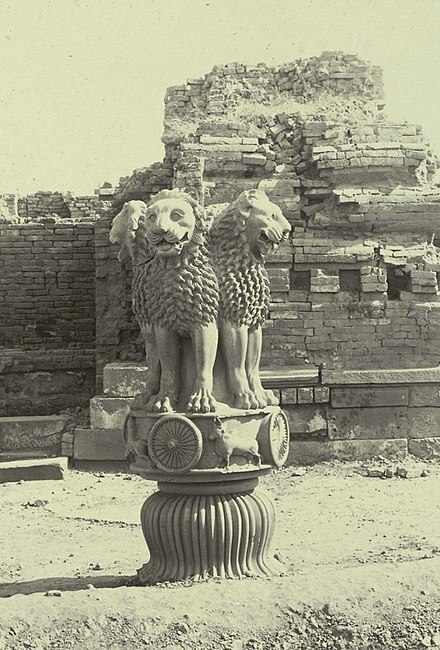 Bharata was the first chakravartin of avasarpini. He was the eldest son of Rishabhanatha, the first Tirthankara of Jainism. According to the Jains and the Hindu Puranas, the ancient name of India was named "Bhāratavarsha" or "Bhārata" or "Bharata-bhumi" after him. He had two sons from his chief Queen Sunanda - Arkakirti and Mariachi. He conquered all the six parts of the world and fought with Bahubali in the end to conquer the last remaining city. Rishabhanatha is the first Tirthankara of Jainism. A leader, he is believed in Jainism to have lived billions of billions of years ago. He was the first of twenty-four teachers in the present half-cycle of time in Jain cosmology, and called a "ford maker" because his teachings helped one across the sea of interminable rebirths and deaths (saṃsāra). He is also known as Ādinātha of Jainism which translates into "First (Adi) Lord (nātha)", as well as Adishvara, Yugadideva, Prathamaraja, and Nebheya. Along with Mahavira, Parshvanatha and Neminatha, Rishabhanatha is one of the four Tirthankaras that attract the most devotional worship among the Jains. Marudevī was the mother of the first Jain Tirthankara, Rishabhanatha and the queen of King Nabhi. The Vedas are a large body of religious texts originating in ancient India. Composed in Vedic Sanskrit, the texts constitute the oldest layer of Sanskrit literature and the oldest scriptures of Hinduism. Hindus consider the Vedas to be apauruṣeya, which means "not of a man, superhuman" and "impersonal, authorless". Āryāvarta is a term for parts of the Indian subcontinent in the ancient Hindu texts such as Dharmashastras and Sutras. The limits of Aryavarta vary from text to text. These texts also name other parts of the Indian subcontinent as Brahmavarta, Madhyadesha, Panchala and others, with neither clear boundaries nor details about who lived in them. 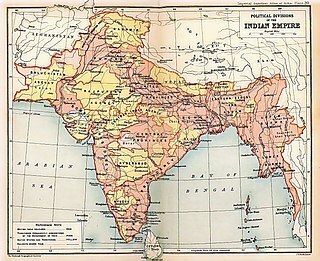 The history of India includes the prehistoric settlements and societies in the Indian subcontinent; the blending of the Indus Valley Civilization and Indo-Aryan culture into the Vedic Civilization; the development of Hinduism as a synthesis of various Indian cultures and traditions; rise of sixteen oligarchic republics known as Mahajanapadas; rise of Śramaṇa movement; birth of Jainism and Buddhism in 6th-century BCE,  and the onset of a succession of powerful dynasties and empires for more than two millennia throughout various geographic areas of the subcontinent, including the growth of Muslim dynasties during the Medieval period intertwined with Hindu powers; the advent of European traders resulting in the establishment of the British rule; and the subsequent independence movement that led to the Partition of India and the creation of the Republic of India. Holi is a major Indian festival celebrated every spring. The nātyaśāstrais an ancient Indian treatise on the performing arts, encompassing theatre, dance and music. It was written during the period between 200 BCE and 200 CE in classical India and is traditionally attributed to the Sage Bharata. Natya Shastra is incredibly wide in its scope. While it primarily deals with stagecraft, it has come to influence music, classical dance, and literature as well. It covers stage design, music, dance, makeup, and virtually every other aspect of stagecraft. Indian people have played a major role in the development of the philosophy, sciences, mathematics, arts, architecture and astronomy throughout history. During the ancient period, notable mathematics accomplishment of India included Hindu–Arabic numeral system with decimal place-value and a symbol for zero, interpolation formula, Fibonacci's identity, theorem, the first complete arithmetic solution (including zero and negative solutions) to quadratic equations. Chakravala method, sign convention, madhava series, and the sine and cosine in trigonometric functions can be traced to the jyā and koti-jyā. Notable military inventions include war elephants, crucible steel weapons popularly known as Damascus steel and Mysorean rockets. Other notable inventions during ancient period include chess, cotton, sugar, fired bricks, carbon pigment ink, ruler, lac, lacquer, stepwell, indigo dye, snake and ladder, muslin, ludo, calico, Wootz steel, incense clock, shampoo, palampore, chintz, and prefabricated home. Bharat Mata (Hindi, from Sanskrit भारत माता, Bhārata Mātā), Mother India, or Bhāratāmbā (from अंबा ambā 'mother') is the national personification of India as a mother goddess. There are over 1.5 million people of Indian origin or ancestry in Canada, the majority of which live in Greater Toronto and Vancouver, with growing communities in Alberta and Quebec. Nearly 4% of the total Canadian population is of Indian ancestry, a figure higher than both the United States and Britain. According to Statistics Canada, Indo-Canadians are one of the fastest growing visible minority groups in Canada, making up the second largest non-European ethnic group in the country after Chinese Canadians. The Indo-Canadian community can trace its history in Canada back 120 years to 1897 when a contingent of Sikh soldiers visited the western coast of Canada, primarily British Columbia which at the time was very sparsely populated and the Canadian government wanted to settle in order to prevent a takeover of the territory by the United States. More than a million people of Indian descent live in South Africa, concentrated around the city of Durban. About 40,000 people of Indian origin live in Tanzania mostly in the urban areas. According to the American Community Survey of the US Census Bureau, the Indian American population in the United States grew from almost 1.67 million in 2000 to 3.1 million in 2010 which is the third-largest Asian American community in the United States after Chinese Americans and Filipino Americans. Indian religions, sometimes also termed as Dharmic faiths or religions, are the religions that originated in the Indian subcontinent; namely Hinduism, Jainism, Buddhism and Sikhism. These religions are also all classified as Eastern religions. Although Indian religions are connected through the history of India, they constitute a wide range of religious communities, and are not confined to the Indian subcontinent. A bhajan literally means "sharing". It also refers to any song with religious theme or spiritual ideas, in a regional languages from the Indian subcontinent. The Bhakti movement refers to the theistic devotional trend that emerged in medieval Hinduism and later revolutionised in Sikhism. 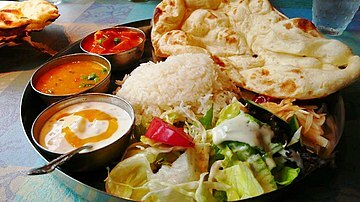 It originated in eighth-century south India, and spread northwards. It swept over east and north India from the 15th century onwards, reaching its zenith between the 15th and 17th century CE. Hinduism in Southeast Asia has a profound impact on the region's cultural development and its history. As the Indic scripts were introduced from India, people of Southeast Asia entered the historical period by producing their earliest inscriptions around the 1st to 5th century CE. Dāna is a Sanskrit and Pali word that connotes the virtue of generosity, charity or giving of alms in Indian philosophies. It is alternatively transliterated as daana. 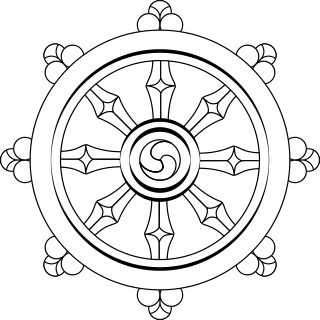 The decline of Buddhism in the Indian subcontinent refers to a gradual process of dwindling and replacement of Buddhism in India, which ended around the 12th century. According to Lars Fogelin, this was "not a singular event, with a singular cause; it was a centuries-long process." Medieval India refers to a long period of the history of the Indian subcontinent between the "ancient period" and "modern period". Definitions of the period itself vary widely, and partly for this reason, many historians now prefer to avoid the term completely. History of Hinduism denotes a wide variety of related religious traditions native to the Indian subcontinent. Its history overlaps or coincides with the development of religion in Indian subcontinent since the Iron Age, with some of its traditions tracing back to prehistoric religions such as those of the Bronze Age Indus Valley Civilization. It has thus been called the "oldest religion" in the world. Scholars regard Hinduism as a synthesis of various Indian cultures and traditions, with diverse roots and no single founder. Hinduism is the largest religion in India, with 79.8% of the population identifying themselves as Hindus, that accounts for 966 million Hindus in India as of National Census of India, while 14.3% of the population follow Islam and the remaining 6% adhere to other religions. The vast majority of Hindus in India belong to Shaivite and Vaishnavite denominations. India is one of the three countries in the world where Hinduism is the majority. Punjabi Hindus are a group of people that follow Hinduism and have their roots and origin in the Punjab region in the northern part of the Indian subcontinent. In India, most Punjabi Hindus are concentrated in the state of Punjab, Delhi and the union territory of Chandigarh, with additional populations in parts of Haryana, Himachal Pradesh and some parts of Rajasthan and Gujarat. 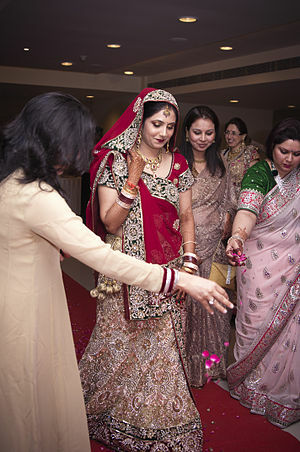 They also have significant presence in Jammu, Uttarakhand, Uttar Pradesh and Maharashtra. Religion in India is characterised by a diversity of religious beliefs and practices. India is a secular state with no state religion. The Indian subcontinent is the birthplace of four of the world's major religions; namely Hinduism, Buddhism, Jainism, and Sikhism. According to the 2011 census, 79.8% of the population of India practices Hinduism, 14.2% adheres to Islam, 2.3% adheres to Christianity, and 1.7% adheres to Sikhism. Zoroastrianism and Judaism also have an ancient history in India, and each has several thousands of Indian adherents. India has the largest population of people adhering to Zoroastrianism and Bahá'í Faith in the world, even though these religions are not native to India. Many other world religions also have a relationship with Indian spirituality, such as the Baha'i faith which recognises the Buddha and Krishna as manifestations of the God Almighty. Throughout India's history, religion has been an important part of the country's culture. Religious diversity and religious tolerance are both established in the country by the law and custom; the Constitution of India has declared the right to freedom of religion to be a fundamental right. Rama or Ram, also known as Ramachandra, is a major deity of Hinduism. He is the seventh avatar of the god Vishnu, one of his most popular incarnations along with Krishna and Gautama Buddha. In Rama-centric traditions of Hinduism, he is considered the Supreme Being. ↑ "Population Enumeration Data (Final Population)". Census of India . Retrieved 17 June 2016. ↑ "A – 2 DECADAL VARIATION IN POPULATION SINCE 1901" (PDF). Census of India . Retrieved 17 June 2016. 1 2 3 4 5 6 7 8 9 10 11 12 13 14 "Population of Overseas Indians" (PDF). Ministry of External Affairs (India). 31 December 2016. Retrieved 28 May 2016. 1 2 "India is a top source and destination for world's migrants". Pew Research Center. 3 March 2017. Retrieved 7 March 2017. ↑ "Population of Qatar by nationality - 2017 report" . Retrieved 7 February 2017. ↑ Stern, Robert W. (2001). Democracy and Dictatorship in South Asia: Dominant Classes and Political Outcomes in India, Pakistan, and Bangladesh. Greenwood Publishing Group. p. 6. ISBN 9780275970413. ↑ Henry Newman (1921). The Calcutta Review. University of Calcutta. p. 252. I have also found that Bombay is India, Satara is India, Bangalore is India, Madras is India, Delhi, Lahore, the Khyber, Lucknow, Calcutta, Cuttack, Shillong, etc., are all India. 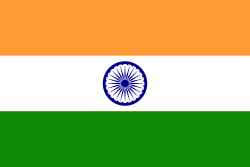 ↑ Article 1 of the English version of the Constitution of India: "India that is Bharat shall be a Union of States." ↑ Schmidt, H.P. Notes on Rgveda 7.18.5-10. Indica. Organ of the Heras Institute, Bombay. Vol.17, 1980, 41-47. ↑ "Reading the Vedic Literature in Sanskrit" (PDF). is1.mum.edu. Archived from the original (PDF) on 3 March 2016. Retrieved 11 December 2017. ↑ Champat Rai Jain 1929, p. 159. ↑ Umakant P. Shah 1987, p. 72. ↑ Sangave 2001, p. 106. ↑ Chaturvedi, B. K. (2006). Vishnu Purana. p. 44. ISBN 9788171826735. ↑ Cheung, Martha Pui Yiu (2014) . "Zan Ning (919–1001 CE), To Translate Means to Exchange". An Anthology of Chinese Discourse on Translation: From Earliest Times to the Buddhist Project. Routledge. pp. 179, 181. ISBN 978-1-317-63928-2. ↑ "Religion -- Chapter 3". www.brow.on.ca. Retrieved 11 December 2017. ↑ Zahir ud-Din Mohammad (10 September 2002). Thackston, Wheeler M., ed. The Baburnama: Memoirs of Babur, Prince and Emperor. New York: Modern Library. p. xlvi. ISBN 978-0-375-76137-9. In India the dynasty always called itself Gurkani, after Temür 's title Gurkân, the Persianized form of the Mongolian kürägän, 'son-in-law,' a title he assumed after his marriage to a Genghisid princess. ↑ Metcalf & Metcalf 2006, p. 17. ↑ Asher & Talbot 2008, p. 152. ↑ Catherine Ella Blanshard Asher; Cynthia Talbot (2006). India before Europe. Cambridge University Press. p. 265. ISBN 978-0-521-80904-7. ↑ Burjor Avari (2013). Islamic Civilization in South Asia: A History of Muslim Power and Presence in the Indian Subcontinent. Routledge. pp. 131–. ISBN 9780415580618. ↑ Erinn Banting (2003). Afghanistan: The people. ISBN 9780778793366. ↑ Metcalf & Metcalf 2006, pp. 23–24. ↑ Pearson, M. N. (February 1976). "Shivaji and the Decline of the Mughal Empire". The Journal of Asian Studies. 35 (2): 221–235. doi:10.2307/2053980. JSTOR 2053980. (Subscription required (help)). ↑ Capper, John (11 December 2017). "Delhi, the Capital of India". Asian Educational Services. Retrieved 11 December 2017– via Google Books. ↑ Sailendra Nath Sen. An Advanced History of Modern India. p. Introduction-14. Retrieved 15 December 2017. The author says: "The victory at Bhopal in 1738 established Maratha dominance at the Mughal court"
↑ "Is the Pakistan army martial? - The Express Tribune". tribune.com.pk. 29 September 2012. Retrieved 11 December 2017. ↑ Sen, Sailendra Nath (11 December 2017). "An Advanced History of Modern India". Macmillan India. Retrieved 11 December 2017– via Google Books. ↑ Andaman & Nicobar Origin | Andaman & Nicobar Island History. Andamanonline.in. ↑ Metcalf, B.; Metcalf, T.R. (2006), A Concise History of Modern India (2nd ed. ), pp. 94–99. ↑ Minahan, James (2012). Ethnic Groups of South Asia and the Pacific: An Encyclopedia: An Encyclopedia. ABC-CLIO. p. 139. ISBN 978-1-59884-660-7. ↑ "Indian Economy During British Rule". yourarticlelibrary.com. 2014-05-08. Retrieved 6 January 2017. ↑ Ali, Afsar (17 July 2017). "Partition of India and Patriotism of Indian Muslims". The Milli Gazette . ↑ Kenoyer, Jonathan Mark; Heuston, Kimberley (May 2005). The Ancient South Asian World. Oxford University Press. ISBN 978-0-19-517422-9. OCLC 56413341. Archived from the original on 20 November 2012. ↑ "1". Cultural History of India. New Age International Limited Publications. 2005. p. 3. ISBN 978-81-224-1587-2. ↑ Lange, Christian (2008-07-10). Justice, Punishment and the Medieval Muslim Imagination. Cambridge Studies in Islamic Civilization. Cambridge University Press. ISBN 978-0-521-88782-3. [ permanent dead link ] Lange: Greater Persia (including Khwārazm, Transoxania, and Afghanistan)." ↑ Sharma, Usha (2004). Cultural and Religious Heritage of India. Mittal Publications, 2004. ISBN 978-81-7099-960-7. ↑ E. Dunn, Ross. The adventures of Ibn Battuta, a Muslim traveller of the fourteenth century. University of California Press, 1986. ISBN 978-0-520-05771-5. ↑ Tharoor, Shashi. India: From Midnight to the Millennium and Beyond. Arcade Publishing, 2006. ISBN 978-1-55970-803-6. 1 2 "45". What Is Hinduism? : Modern Adventures Into a Profound Global Faith. Himalayan Academy Publications. 2007. p. 359. ISBN 978-1-934145-00-5. ↑ "Non Resident Nepali – Speeches". Nrn.org.np. Archived from the original on 25 December 2010. Retrieved 1 August 2010. ↑ "BBCVietnamese.com". Bbc.co.uk. Retrieved 1 August 2010. ↑ "Religions of the world: numbers of adherents; growth rates". Religioustolerance.org. Retrieved 1 August 2010. ↑ Basu, Durga Das (2013). Introduction to the Constitution of India (21 ed.). LexisNexis. p. 124. ISBN 978-81-803-8918-4. ↑ Johannes Quack (2014), Disenchanting India: Organized Rationalism and Criticism of Religion in India, Oxford University Press, ISBN 978-0199812615, page 50 with footnote 3. ↑ Chakravarti, Sitansu (1991). Hinduism, a way of life. Motilal Banarsidass Publ. p. 71. ISBN 978-81-208-0899-7 . Retrieved 9 April 2011. ↑ Sarvepalli Radhakrishnan; Charles A. Moore (1957). A Sourcebook in Indian Philosophy (Twelfth Princeton Paperback printing 1989 ed.). Princeton University Press. pp. 227–249. ISBN 978-0-691-01958-1. ↑ Phil Zuckerman (21 December 2009). "Chapeter 7: Atheism and Secularity in India". Atheism and Secularity. ABC-CLIO. ISBN 978-0-313-35182-2 . Retrieved 7 September 2013. ↑ "Census of India – Socio-cultural aspects". Censusindia.gov.in. Retrieved 3 February 2011. ↑ Smith, Peter (2008). An introduction to the Baha'i faith. Cambridge University Press. p. 94. ISBN 978-0-521-86251-6. ↑ Enroth, Ronald (2005). A Guide to New Religious Movements. InterVarsity Press. p. 160. ISBN 978-0-8308-2381-9. ↑ "Global Index Of Religion And Atheism" (PDF). WIN-Gallup. Archived from the original (PDF) on 16 October 2012. Retrieved 3 September 2013. ↑ Singh, David Emmanuel (2012). Islamization in Modern South Asia: Deobandi Reform and the Gujjar Response. Walter de Gruyter. p. 199. ISBN 978-1-61451-246-2. ↑ Cassan, Guilhem (September 2011). "The Impact of Positive Discrimination in Education in India: Evidence from a Natural Experiment" (PDF). Paris School of Economics and Laboratoire d'Economie Appliquee. ↑ Indian and Foreign Review . Retrieved 6 May 2015. ↑ "UNITED STATES COMMISSION ON INTERNATIONAL RELIGIOUS FREEDOM-Annual Report 2015" (PDF). ↑ "15th anniversary retrospective:UNITED STATES COMMISSION ON INTERNATIONAL RELIGIOUS FREEDOM" (PDF). ↑ Talwar, Swati. "Meaning of HUF (Hindu Undivided Family)". Taxpaisa.com. Retrieved 29 June 2014. ↑ Raghuvir Sinha (1993). Dynamics of Change in the Modern Hindu Family. South Asia Books. ISBN 978-81-7022-448-8. ↑ "Indian Families". Facts About India. Archived from the original on 30 July 2011. Retrieved 11 October 2011. 1 2 Manjistha Banerji; Steven Martin; Sonalde Desai (2008). "Is Education Associated with a Transition towards Autonomy in Partner Choice? A Case Study of India" (PDF). University of Maryland & NCAER. Archived from the original (PDF) on 3 March 2016. ↑ "Harrapa clothing". A.harappa.com. Retrieved 15 December 2017. ↑ Good, I.L. ; Kenoyer, J.M. ; Meadow, R.H. (2009). "New evidence for early silk in the Indus civilization". Archaeometry. 50 (3): 457–466. doi:10.1111/j.1475-4754.2008.00454.x. ↑ Verma, S.P. (2005). Ancient system of oriental medicine. Anmol Publications PVT. LTD. ISBN 978-81-261-2127-4. ↑ Beveridge, Henry (1867). A comprehensive history of India. Blackie and son. ISBN 978-81-85418-45-2. ↑ Jayapalan, N. (2008). Economic History of India. Atlantic Publishers & Distributors. ISBN 978-81-269-0697-0. ↑ arti sandhu (2015). Indian Fashion: Tradition, Innovation, Style. bloomsbury. p. 126. ISBN 978-18478-8780-1 . Retrieved 4 June 2012. ↑ K T Achaya (2003). The Story of Our Food. Universities Press. ISBN 9788173712937 . Retrieved 18 June 2015. ↑ Harris, David R. (1996). The Origins and Spread of Agriculture and Pastoralism in Eurasia. Psychology Press. p. 565. ISBN 978-1-85728-538-3. ↑ "Chapter 17, Verse 8,9,10". Bhagavad-Gita. Retrieved 31 August 2011. ↑ Donald K. Sharpes (2006). Sacred Bull, Holy Cow: A Cultural Study of Civilization's Most Important Animal. Peter Lang. p. 208. ISBN 978-0-8204-7902-6 . Retrieved 4 June 2012. ↑ Harold McGee (2004). On food and cooking. Scribner. ISBN 978-0-684-80001-1. ↑ Emmie te Nijenhuis (1974). Indian music, Part 2, Volume 6. BRILL. ISBN 978-90-04-03978-0. ↑ "Natyashastra" (PDF). 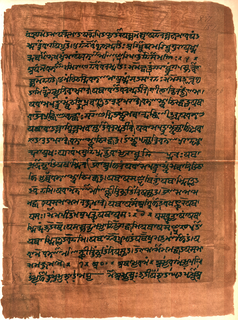 Sanskrit Documents. ↑ Māni Mādhava Chākyār (1996). Nātyakalpadrumam. Sangeet Natak Akademi, New Delhi. p. 6. ↑ "History of Algebra" . Retrieved 5 October 2014. ↑ "Properties Inscribed on the World heritage List". UNESCO. Retrieved 1 October 2010. ↑ "Nobel Prizes-Britannica" . Retrieved 6 May 2015. ↑ "Life and Times of Bharat Mata - Manushi, Issue 142". indiatogether.org. Retrieved 11 December 2017. ↑ "Executive Summary - The Indian Diaspora" (PDF). Indiandiaspora.nic.in. Archived from the original (PDF) on 4 March 2016. Retrieved 15 December 2017. ↑ "India and its Diaspora". Moia.gov.in. Archived from the original on 4 March 2016. ↑ "Estimated population resident in the United Kingdom, by foreign country of birth (Table 1.3)". Office for National Statistics. September 2009. Archived from the original on 22 January 2011. Retrieved 8 July 2010. ↑ Metspalu, Mait; et al. (2011). "Shared and Unique Components of Human Population Structure and Genome-Wide Signals of Positive Selection in South Asia". The American Journal of Human Genetics. 89 (6): 731–44. doi:10.1016/j.ajhg.2011.11.010. PMC 3234374 . PMID 22152676. ↑ Moorjani, Priya; et al. (2013). "Genetic Evidence for Recent Population Mixture in India". The American Journal of Human Genetics. 93 (3): 422–438. doi:10.1016/j.ajhg.2013.07.006. PMC 3769933 . PMID 23932107.